Thats all. Game finished - Olympiakos 2, Dynamo Kyiv 2. 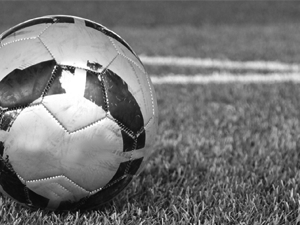 Second Half ended - Olympiakos 2, Dynamo Kyiv 2. New attacking attempt. Yassine Meriah - Olympiakos - shot with the head from the centre of the box is saved in the top right corner. Assist - Ahmed Hassan with a head. Tomasz Kedziora - Dynamo Kyiv - receive yellow card for a foul. Lazaros Christodoulopoulos - Olympiakos - won a free kick on the left wing. Goal! Olympiakos 2, Dynamo Kyiv 2. Benjamin Verbic - Dynamo Kyiv - shot with right foot from the centre of the box to the left corner. Assist - Viktor Tsygankov with a head. Shot blocked. Viktor Tsygankov - Dynamo Kyiv - shot with left foot from outside the box is blocked. Assist - Benjamin Verbic. Shot blocked. Benjamin Verbic - Dynamo Kyiv - shot with right foot from outside the box is blocked. Assist - Denys Harmash with a head. Substitution - Olympiakos. Georgios Masouras for Gil Dias. Vitaliy Buyalskiy - Dynamo Kyiv - won a free kick in attack. Substitution - Dynamo Kyiv. Denys Harmash for Mykola Shaparenko. Substitution - Dynamo Kyiv. Nazariy Rusyn for Fran Sol. Substitution - Olympiakos. Lazaros Christodoulopoulos for Daniel Podence. Missed chance. Daniel Podence - Olympiakos - shot with right foot from a diffucult position on the left is close, but missed to the left. Assist - Bibras Natcho. Gil Dias - Olympiakos - won a free kick in attack. Benjamin Verbic - Dynamo Kyiv - receive yellow card for a foul. Yassine Meriah - Olympiakos - won a free kick in defence. Missed chance. Daniel Podence - Olympiakos - shot with right foot from the right side of the box missed. Assist - Bibras Natcho with a through ball. Corner - Dynamo Kyiv. Conceded by José Sá. New attacking attempt. Viktor Tsygankov - Dynamo Kyiv - shot with left foot from the centre of the box is saved in the right corner. Assist - Fran Sol. Substitution - Olympiakos. Bibras Natcho for Konstantinos Fortounis. Missed chance. Benjamin Verbic - Dynamo Kyiv - shot with right foot from outside the box is high and wide to the left from a free kick. Benjamin Verbic - Dynamo Kyiv - won a free kick in attack. Guilherme - Olympiakos - won a free kick in attack. Missed chance. Mykola Shaparenko - Dynamo Kyiv - shot with left foot from the centre of the box missed. Assist - Fran Sol. Daniel Podence - Olympiakos - receive yellow card for a foul. Offside - Olympiakos. José Sá with a pass, however Konstantinos Fortounis is in offside. New attacking attempt. Mykyta Burda - Dynamo Kyiv - shot with right foot from outside the box is saved by goalkeeper in the centre of the goal. Corner - Dynamo Kyiv. Conceded by Mohamed Camara. Viktor Tsygankov - Dynamo Kyiv - won a free kick in defence. Second Half starts Olympiakos 2, Dynamo Kyiv 1. First Half ended - Olympiakos 2, Dynamo Kyiv 1. Offside - Dynamo Kyiv. Viktor Tsygankov with a pass, however Fran Sol is in offside. Viktor Tsygankov - Dynamo Kyiv - won a free kick on the right wing. Goal! Olympiakos 2, Dynamo Kyiv 1. Gil Dias - Olympiakos - shot with left foot from outside the box to the right corner . Daniel Podence - Olympiakos - won a free kick on the left wing. Mohamed Camara - Olympiakos - receive yellow card for a foul. Vitaliy Buyalskiy - Dynamo Kyiv - won a free kick in defence. Goal! 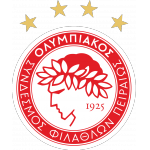 Olympiakos 1, Dynamo Kyiv 1. Vitaliy Buyalskiy - Dynamo Kyiv - shot with right foot from the centre of the box to the top left corner. Assist - Tomasz Kedziora. Shot blocked. Gil Dias - Olympiakos - shot with left foot from the centre of the box is blocked. Assist - Mohamed Camara. Mohamed Camara - Olympiakos - won a free kick in attack. Konstantinos Fortounis - Olympiakos - won a free kick in attack. 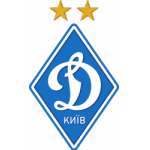 Delay in match Vitaliy Buyalskiy - Dynamo Kyiv - - injury. New attacking attempt. Gil Dias - Olympiakos - shot with left foot from outside the box is saved in the right corner. Assist - Guilherme. Konstantinos Fortounis - Olympiakos - hits the left post with a shot with left foot from a diffucult position on the left. Guilherme - Olympiakos - won a free kick in defence. Benjamin Verbic - Dynamo Kyiv - won a free kick on the left wing. Volodymyr Shepelev - Dynamo Kyiv - won a free kick in defence. Goal! Olympiakos 1, Dynamo Kyiv 0. Ahmed Hassan - Olympiakos - shot with left foot from the centre of the box to the top right corner. Assist - Konstantinos Fortounis. Konstantinos Fortounis - Olympiakos - won a free kick on the right wing. Mykola Shaparenko - Dynamo Kyiv - won a free kick in defence. Konstantinos Tsimikas - Olympiakos - won a free kick on the left wing.